We launch young people for life today. It’s changing in good ways. 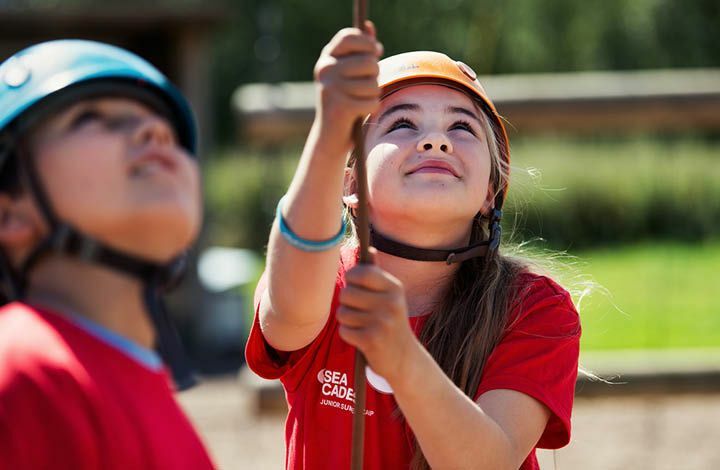 At Sea Cadets you’ll see teenagers who cycle miles to us because they can’t afford the bus fare, greeting their friend dropped off in a new car, and young people of all races and religions, of all abilities, chatting together, striving together, and cheering each other on. But the world is also changing in tough ways. And too many young people are going into an adult world under-equipped with the resilience, self-belief and social confidence they need to make a decent life for themselves. Sea Cadets has the skills to change this. Many teenagers arrive at Sea Cadets excited at the prospect of all the adventures and activities they can have with us. And they’re brilliant fun. But quickly they see the depth of what they can gain here for their future and they grab it with both hands! 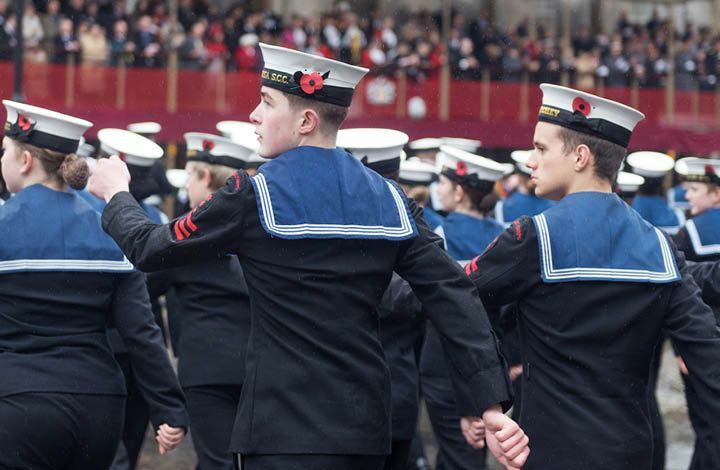 You can literally see the difference Sea Cadets can make. In how they hold themselves, welcome new people, and support each other. How they listen better in school, aren’t offended by constructive feedback, and get on with teachers. See what cadets say about how Sea Cadets makes a big difference in daily teenage life. One in five teenagers are now shockingly experiencing mental health problems like anxiety and depression. And the widening gap between rich and poor is seeing huge numbers of young people from disadvantaged backgrounds being shut out of opportunities because they cost too much. Few children now play unsupervised out of the home with others, where they could socialise and learn a range of life skills many of us take for granted. Meanwhile indoors, the ‘always on’ culture of social media can make teenagers feel a failure while putting on a brave face. Being glued to screens keeps young people inside and awake at night, for fear of being excluded. At the same time, family life can be tough for some and being a teenager has always been one of the most challenging times in a persons life. Role models and belonging help you get through it. At school, young people see looming exams as their one shot at a future and if they fail all is lost. Higher education can seem the only route to success. There is fierce competition for internships and apprenticeships. Soaring housing costs make the prospect of leaving home and starting real adult life impossible for most. The world moves so fast today, and the change can be exhilarating and life-opening, but also terrifying. 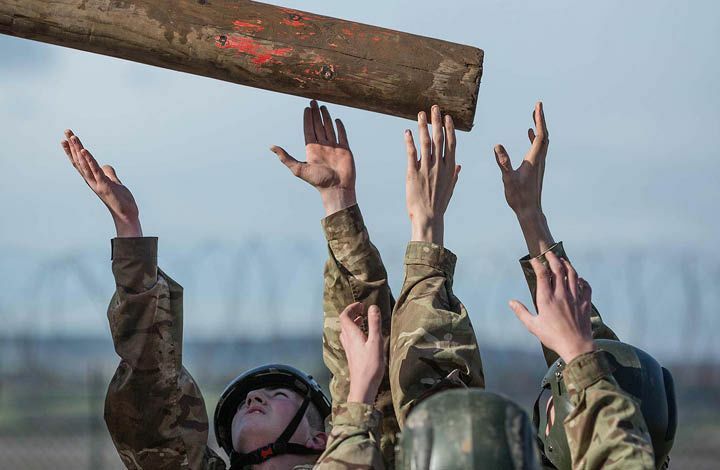 Opportunities follow change, but standing out from everyone else competing for them means making sure you have the very things that makes meeting a cadet memorable; Confidence. Composure. Knowing how to listen, speak and present yourself in new situations. Leadership. Motivation. Organisation. And Bounce! % say we help them gain qualifications. said it improved their attendance and engagement at school. said it gives them skills for life.